The opportunity for two of Godolphin’s most admired horses to enhance their standing amongst Australia’s best comes in Saturday’s G1 Doncaster Mile at Randwick. Hartnell (Hugh Bowman) and Alizee (Blake Shinn) are at the top of the weights in the country’s most coveted mile race because they deserve to be. The winners of seven G1 races between them, the pair are at home at the elite level. Hartnell arrived in Australia at the end of his English three-year-old season in late 2014 and showed he was up to the mark at his first local start, finishing second in the G1 Chipping Norton Stakes, a half-length behind his stablemate Contributer. At his next two, he won the G3 Sky High Stakes and the G1 BMW, one of four G1 titles he holds coming into the Doncaster. Hartnell has won 13 races, 10 of them Stakes events. But his second placing in the G1 Cox Plate behind Winx and his third at 3,200m in the G1 Melbourne Cup to Prince Of Penzance say as much about him as any of his victories. 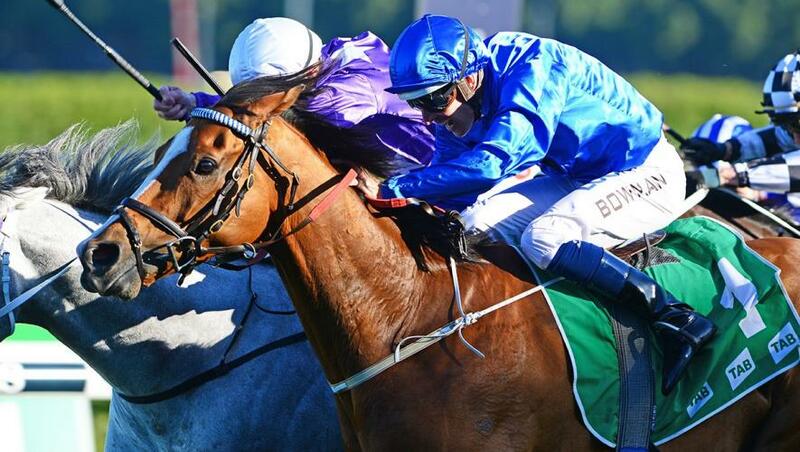 Since his Cup placing, Hartnell has reverted to distances up to 1,600m winning the G1 Epsom Handicap over that trip under 57kg and the G1 CF Orr Stakes at 1,400m. He showed last start that he still has what it takes, finishing second at the age of eight, in the $5 million All-Star Mile. “He’s the Epsom winner over this course and distance last spring and he carried that excellent form forward to his storming second at weight-for-age over the mile at Flemington last time,” said his trainer James Cummings. “He has 58kg and the market says we should be terrified of the horses at the bottom of the weights." Alizee is half the age of her stablemate, but by any other measure, she is at least his equal. The daughter of Sepoy is among the best in the country up to 1,600m, a trip at which she has won twice at G1 level, her other top-level victory coming at 1,400m in the Futurity Stakes at Caulfield in February. Alizee missed a planned run a week ago, Cummings declining to risk her on a heavy track, but she is in perfect order for Saturday’s test. “We expect her to be fully wound up despite having missed last week’s race,” the trainer said. Among the lightly-weighted runners that threaten the Godolphin pair are Brutal (49kg) who should be at his peak after three runs back, and Fifty Stars (50kg), a G2 winner at his past two.